His resignation comes in the midst of a set of allegations which have been levelled at him. When SEARCHLIGHT contacted Augustus on Wednesday, March 2, he confirmed that he had indeed resigned, effective February 10, 2011. Augustus, however, did not comment on any of the allegations made against him. 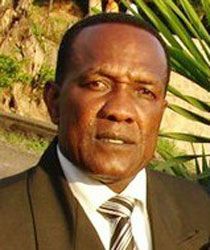 Pastor Dermoth Baptiste, Coordinator of the SVG Region of Seventh Day Adventists, was also contacted on the matter late Wednesday afternoon. He disclosed that the church had accepted Augustusâ resignation, effective February 10.
âItâs a voluntary resignation,â Baptiste explained. Although SEARCHLIGHT was reliably informed that investigations were being carried out by the Seventh Day Adventist Church hierarchy into some of the allegations levelled at Augustus, Baptiste denied those claims.